There were several models : 20, 21, 22, 23, 24, 25 and 26. 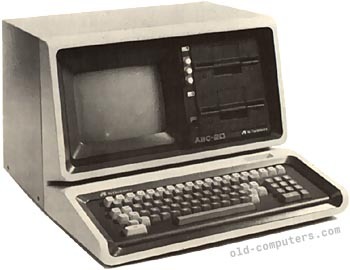 The Model 2x was the successor of the ABC 10, which had a digital tape auxillary memory, supplied with DOSKET-T.
- Dosket : Fortran IV, Basic, Cobol, Macro Assembler. - CP/M : MBasic, CBasic, Pascal, Cobol 80, Fortran 80, PL/3, etc. SIZE / WEIGHT Surely heavy ! see more AI Electronics ABC 20 Ebay auctions !